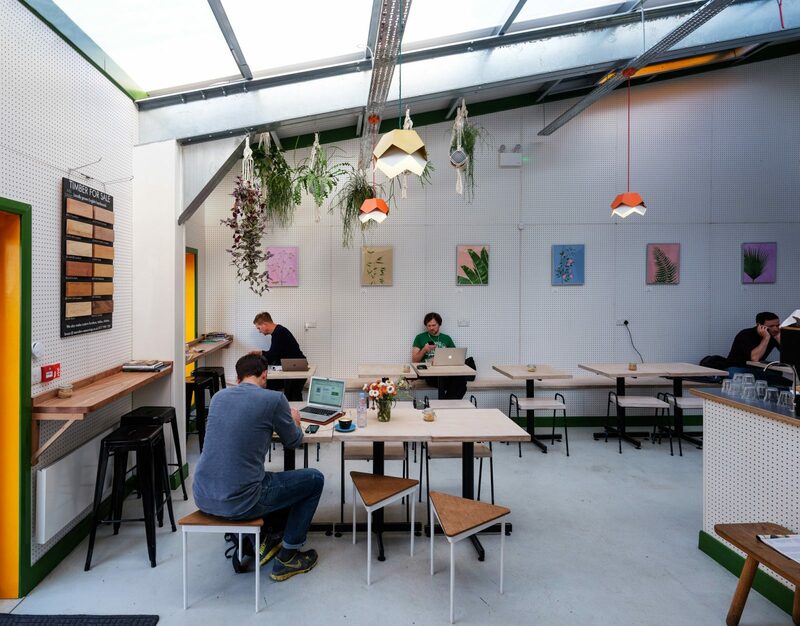 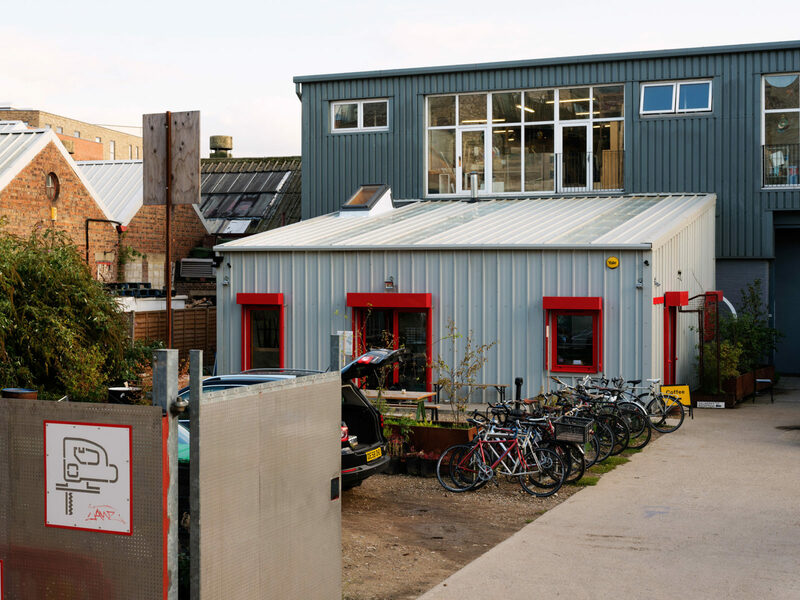 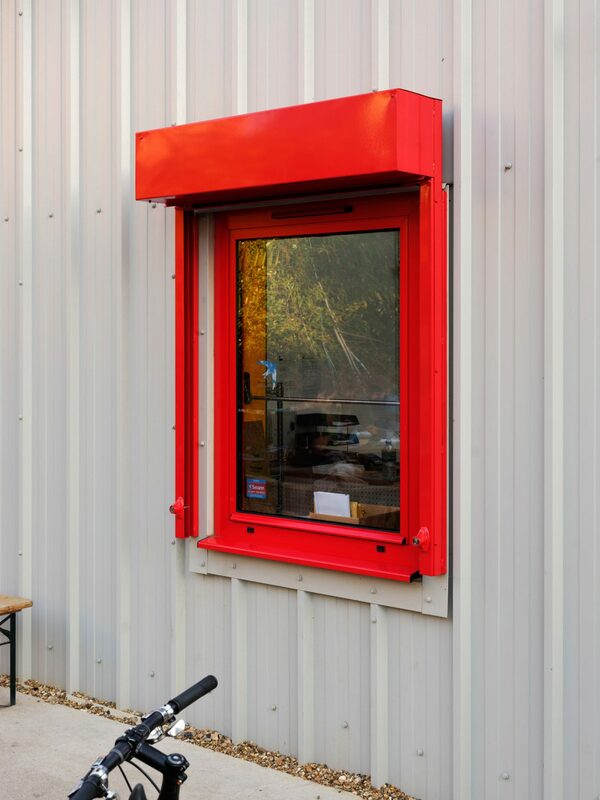 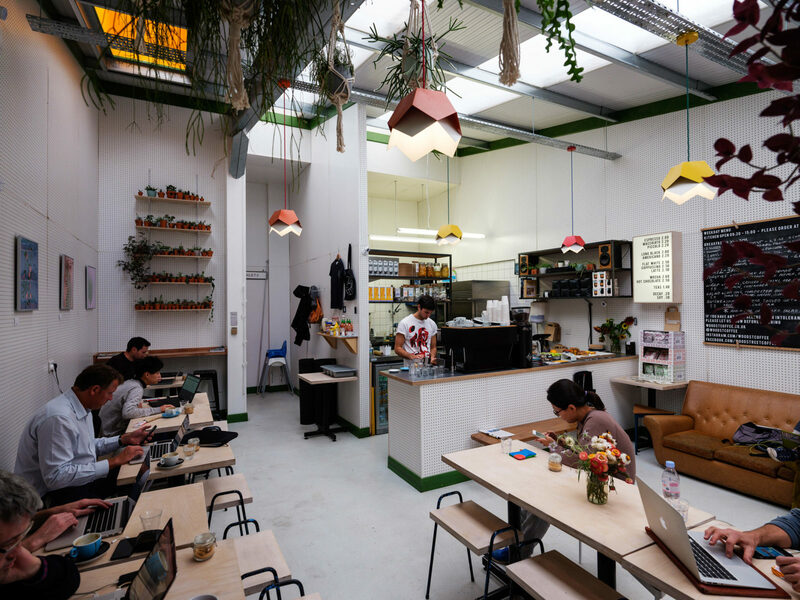 Blackhorse Yard involved the physical reconfiguration of existing and the addition of new spaces to allow for the expansion of Blackhorse Workshop, 3 years after the project was originally launched. 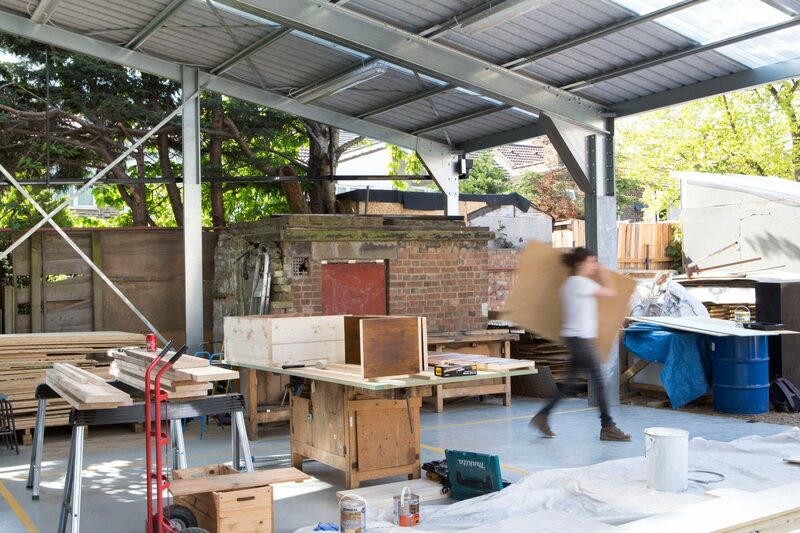 This most significant of these works was the creation of 2 new buildings of equivalent size within the yard, one of which provides an insulated structure as a new home for the café, reception and office spaces of the workshop whilst the other houses a covered outdoor workspace underneath a simple canopy. 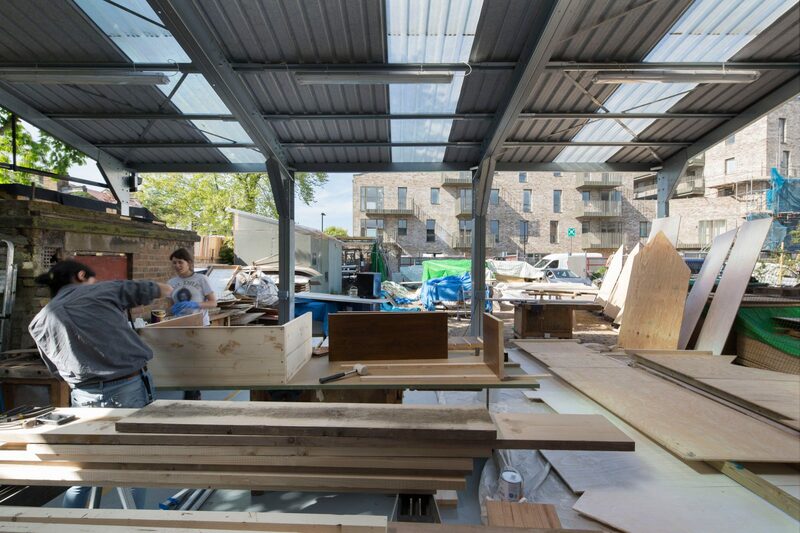 Assemble designed and managed the construction of these elements in the same vein as the initial conversion work, combining industrial and off-the-shelf components with bespoke, hand made elements to create practical spaces which are economical, utilitarian and characterful, using the skill and expertise of Blackhorse Workshop members and staff during the fit out. 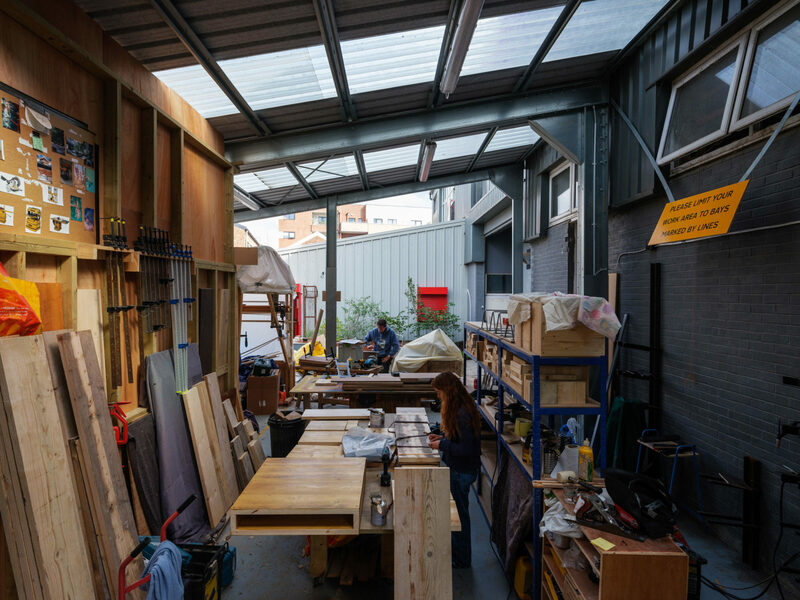 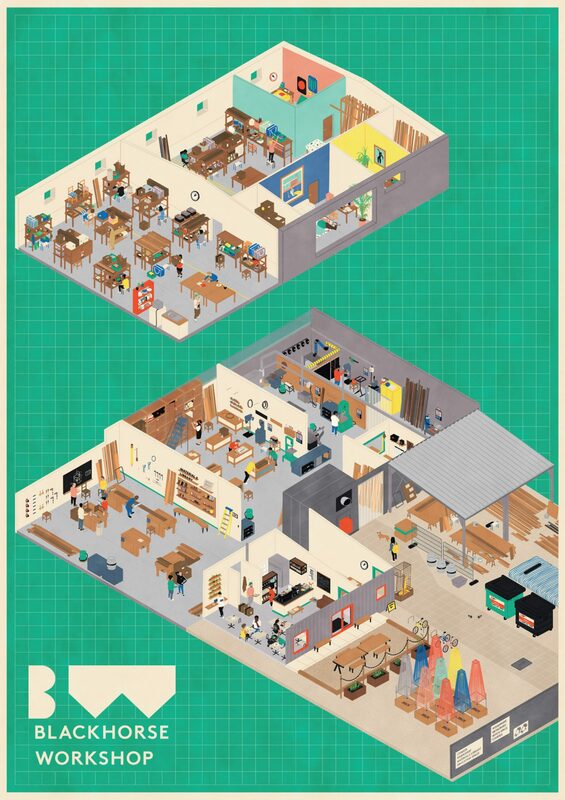 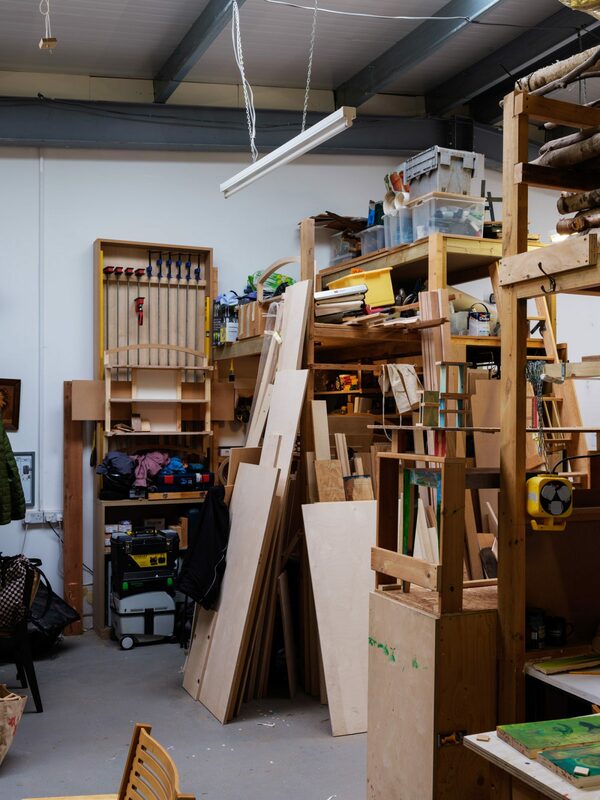 The reconfiguration allows for a new education space on the ground floor, supporting the expansion of Blackhorse Workshop’s educational programme and allowing for day time sessions to supplement evening courses. 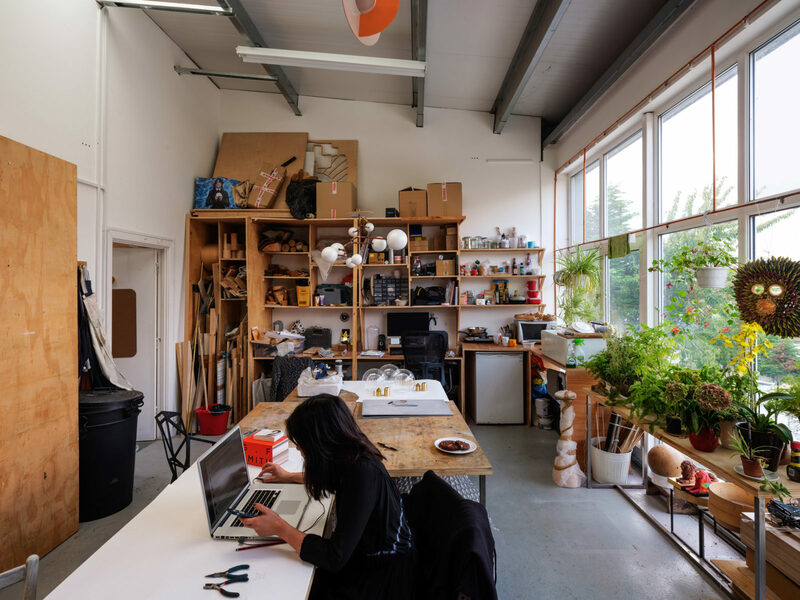 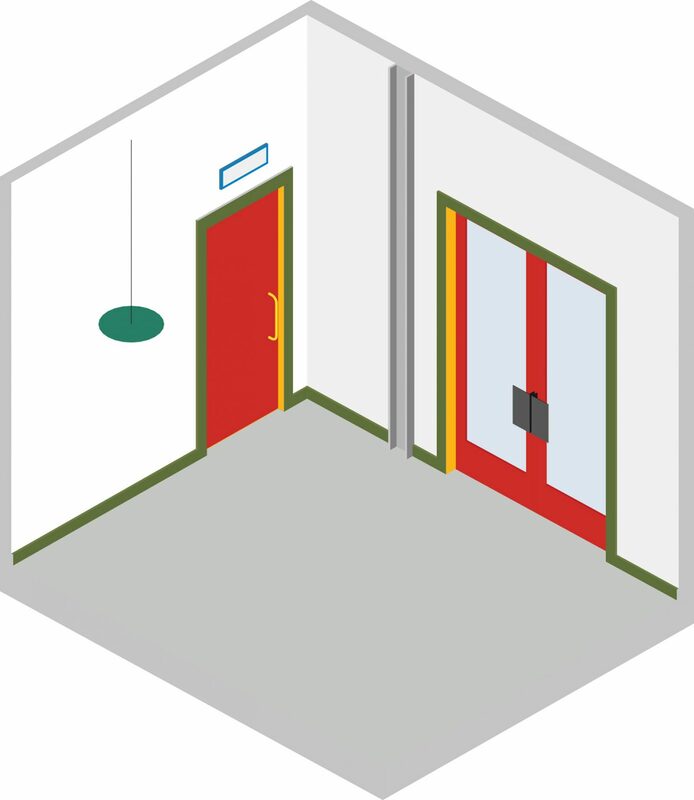 Additional self-contained studio spaces have been created for members who outgrow the desk units on the open-plan space on the first floor. 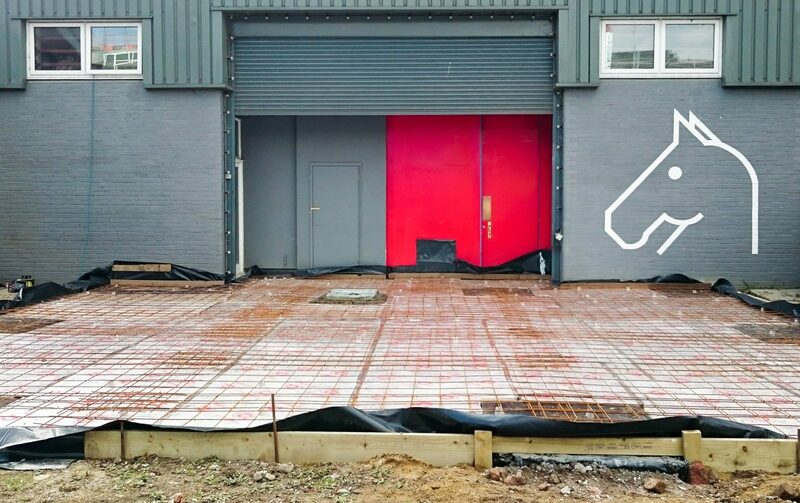 Externally, the generous yard space has been rationalised with minimal landscaping to allow for an outdoor seating area for the café, and its perimeter has been treated with a new stainless steel pegboard fence that creates a base for interchangeable signage on to the public frontage of Sutherland Path. 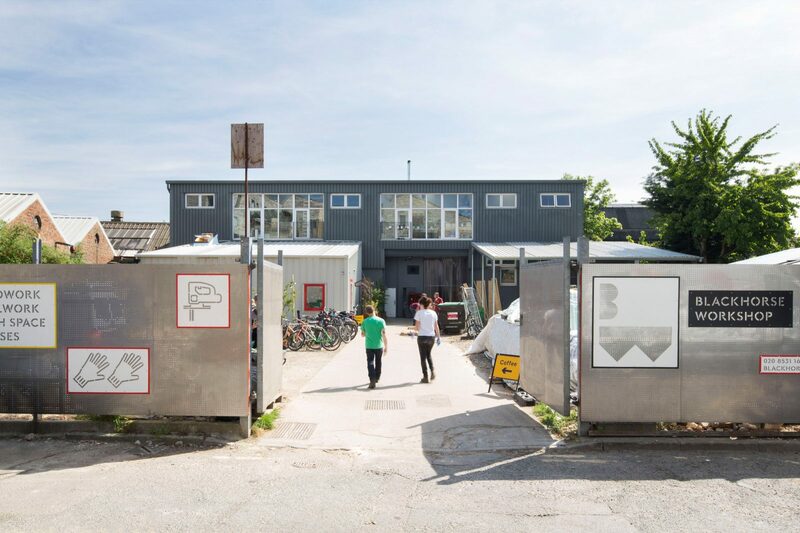 The project was funded by the Greater London Authority High Street Fund and supported by London Borough of Waltham Forest.